More and more the commercial environments we find ourselves in are a tightly controlled unified experience meant to wrap us up into an easily knowable, memorable culture that is unambiguous in expectation and promise. Put simply: pay this; get this. The array of products and services may change from establishment to establishment, but the structure of the experience has become standardized. Only the surface quality interaction, the set, and props change. Even the actors are becoming as hollow of novel human substance as the painted wall boards behind them. This trend has been labeled "branding" and is a creation of minds in the marketing and advertising world. By their hands, it has now become a rare experience to enter an establishment and confront a proprietor who is, front and center, the very human hub, personality, and creative force generating the business. In their place is dispassionate stage craft managed by displaced accountants pursuing ever juicier balance sheets. Nearly everywhere patrons have abandoned small town one of a kind earnest businesses for the predictable blandness of chain stores, proclaiming "Oh boy, we're on the map now. We've got a WalMart, a McDonald's, a Burger King, a Pizza Hut, and Taco Bell is coming." Annita's Diner is gone. Sam's Grocery is gone. 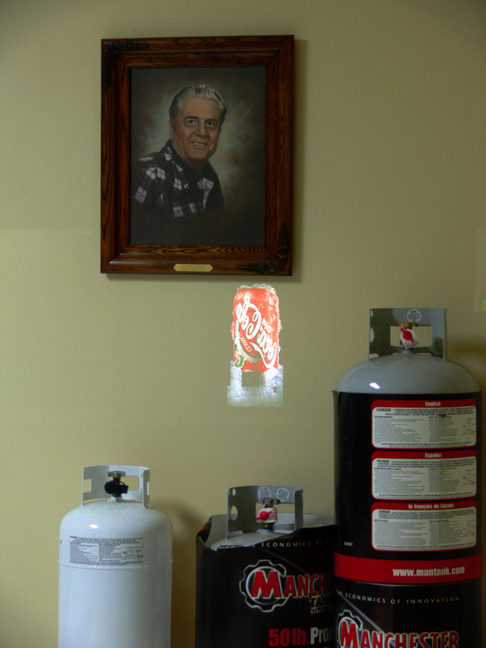 Harold's propane is fading. And so is Gus's Garage. Our sweet flowering merchant neighbors have been displaced by the voracious weeds of corporate commerce. And it is not clear at all we are better off for it. One sign of hope, however. Within some neighborhoods of large cities the battle between unique local businesses and invading corporate giants has begun to rage. Concerned citizens have seen the trend and are beginning to put their collective feet down and draw a line: "Chain Stores Denied". With so many laid off workers in today's down economy, perhaps some will take up the honored tradition of local merchant and successfully reinvigorate the business diversity of our communities. Of course, there's also a fair chance many of those folks will doubt their own creativity and instead pursue a franchise deal. In which case, yet another corporate weed will sprout.